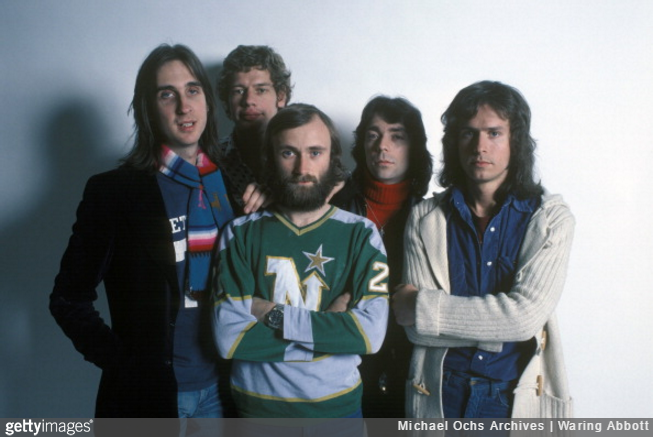 The year is 1977 and, three years after the departure of Peter Gabriel, Genesis are gradually beginning to morph from pastoral prog-rockers into the sleek, pop-veneered behemoth they would eventually become. Slap, bang in the middle of that period of flux, the band, now fronted by Phil Collins, knocked out a largely unheralded, mostly forgotten ode to that most vaunted of English sporting bastions, Match of the Day. 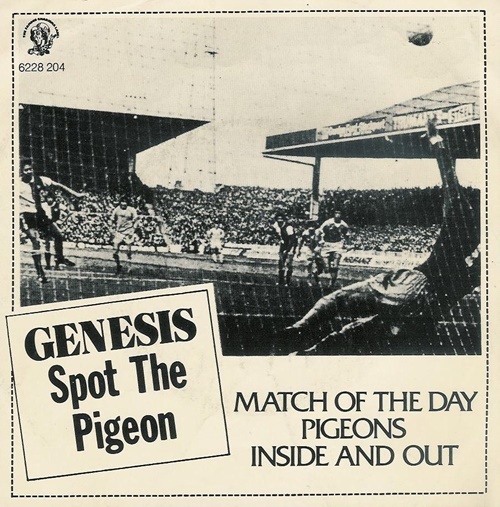 Originally written as a track for the ‘Wind and Wuthering’ album in 1976, the song was passed over – astonishing as that may seem – and instead appeared on the ‘Spot the Pigeon’ odds and sods EP released the following year. Powered along by a slightly naff sounding synth swell, Collins warbles out a loving paean to the beautiful game, mostly just listing hum-drum things that happen during football matches: players in red, players in green, referees, muddy knees, physios with sponges, etc. It was also not our finest hour looking back at it now! I wrote the embarrassing lyrics and the track featured an attempt to bring some of the hipper grooves of the day into Genesis, with very suspect results. You know what? We quite like it, though obviously it’d be shite if it wasn’t done with such affectionate. Plus, we’re stone-cold suckers for a conversational spoken word outro.